Tim Sheridan is well known to television sports viewers throughout Australia. As a communicator he has a reputation for being concise, articulate and entertaining. Tim draws on unique experiences of twenty years involvement in the Nine Network’s blue chip catalogue of sporting coverage – wherever Nine’s Wide World of Sport has been, so has Tim as one of its frontline reporters. Eight Wimbledons, eight US Masters, Winter Olympics, US Opens, British Opens, Formula One Motor Racing, Cricket, World Swimming Championships, Group One Thoroughbred Racing, it’s a mix that allows Tim to call on fact and anecdote at will. He has travelled throughout the world and interviewed A-class personalities such as Agassi, the Thorpedo, Tendulkar and Tiger Woods. 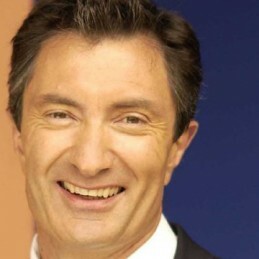 Tim Sheridan gives any occasion or presentation the polish that made him a fixture in the Nine Network’s stable of on-air personalities.